Have you ever fancied the view from the saddle but never fancied the burn in your legs? Do you want the hills to come to you in an almost effortless fashion while the beautiful North York Moors National Park scenery unfolds before you, if so, then you are at the right place! 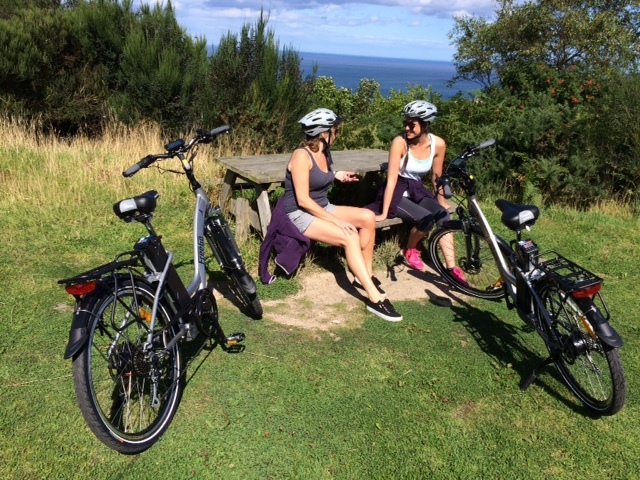 Smugglers Rock offers Electric Bike Hire exclusively for guests. 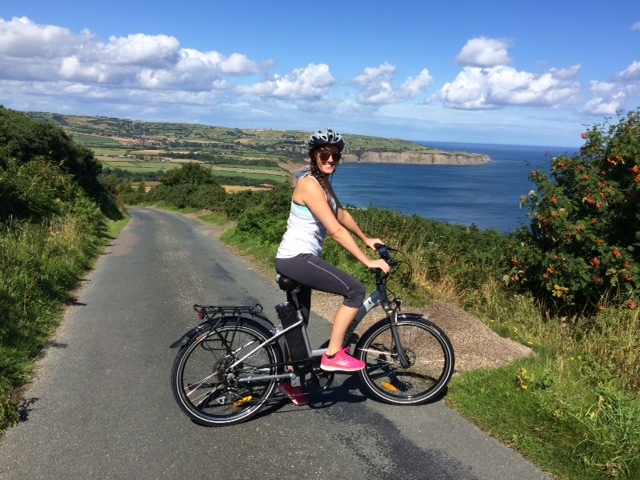 If you can ride a bike, you can ride an electric bike, and with our top of the range Freego Eagle bikes, both crossbar and step-through, you’ll handle the North York Moors terrain without breaking a sweat – the concept of the electric bike is often misunderstood, it is not cheating, rather it allows you to see twice as much for half the effort of a conventional bicycle. Still unsure – see for yourself how they work and ride as shown on BBC’s Countryfile programe http://www.youtube.com/watch?feature=player_embedded&v=GoHa884YNl8. 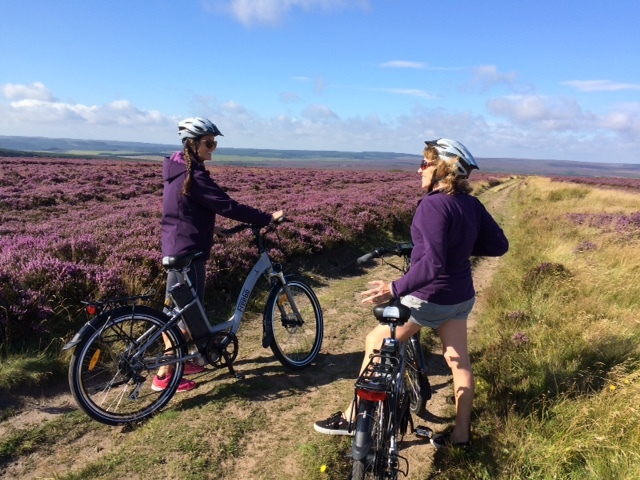 Our Freego Electric Bikes give you an incredible range over the undulating North York Moors terrain. 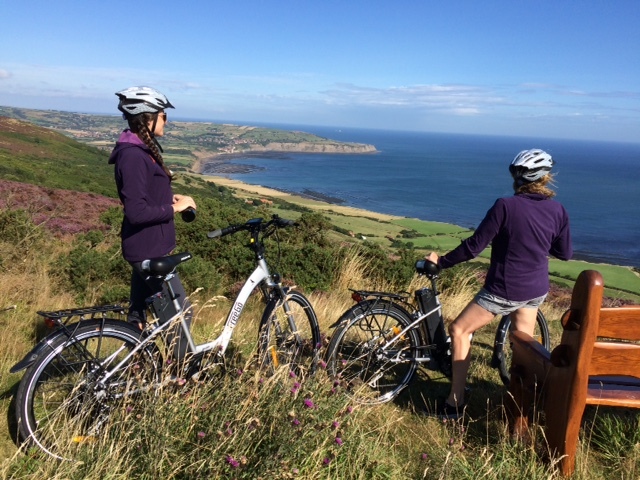 You will be able to ride on purpose built trails, cycleways, the old Scarborough to Whitby cinder track, as well as very quiet country lanes. Excess of 40miles without the need to charge the battery is truly achievable!! Drive less, see more, stop where you want and enjoy the scenery, without the stress of finding a parking space or worrying about parking times and charges!! 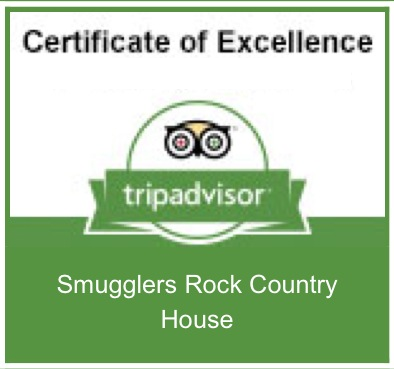 Bookable online when you confirm your accommodation at Smugglers Rock B&B, Cottages or Caravan Site, or by telephone after booking. You can also book on arrival.